to understand and conserve culturally significant artefacts. During the year I have developed skills in assessing and responding to conservation problems presented by a range of archaeological and museum artefacts. These have varied from a ceramic bowl from the Petrie Museum to a rubber toy boat from the Kew Economic Botany Collection. 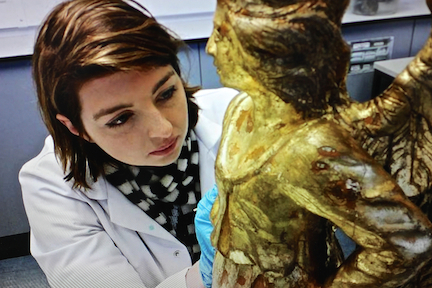 The MSc has allowed me to further my training in conservation science and use it to better understand aspects of deterioration on objects, and how to conserve them." Letitia is now Collections Care Conservator at the Museum of London.